And with this post, we’re officially back on track and caught up with the baby bump. My two sister-in-laws, Angie and Sarah, threw me a shower last weekend. It was fantastic! They were so creative. Once I have the pictures, I’ll post a few. Just wait until you see this cake Andy’s cousin made and the adorable cowboy boots for the top. So cute! Thanks to everyone who came. We’re so thankful and Baby Ruf is so spoiled! It’s been an interesting week baby-wise. Ya know, just a rib out of place and changing doctors at 33 weeks. No big deal! So, for the first. I know with being pregnant comes back pain. With my history of back problems, the pain I’ve had has been minimal. So minimal, I haven’t talked (complained) about it. This past week though, it was getting uncomfortable. I couldn’t quite get a full breath and when I took a deep breath I got a sharp pain in my mid-back. Turning over in the middle of the night was the worst. Andy rubbed my back a few times then one night said,”Your rib feels funny.” Duh! I should have realized an old injury would pop up when all of my insides are being squished and moved around. A few years ago, I had some ribs slip out of place. I’m still not exactly sure what this means but basically, everything that keeps your ribs lined up gets out of whack and it’s not comfortable. After a visit to the chiropractor, I’m breathing much better but still very sore. Unfortunately, he said it might not feel right until I deliver since the baby will continue to push at my ribs. For the second item…changing doctors. I’m not completely sure when or why this happened but I was just getting uncomfortable with my practice and information I was finding out about the hospital. I probably should have researched more of this early on, but as the due date approaches, I’m just now thinking of some of these things. I’ve had two concerns from early on: 1) I don’t want to be tied to machines my entire labor and 2) I don’t want a c-section if at all possible. I just learned the hospital I’m planning to deliver at has a 38% c-section rate. That’s high and they have one of the highest in MD. Also, I know a few people who have delivered there and been induced way before they wanted to. One had to have a c-section. I didn’t know much about midwives and all I really think of when I hear the term is water-birth and giving birth at home. I don’t want either of these. I want to deliver in a hospital but not be forced to do things I don’t know enough about or that aren’t necessary. After doing a bit more research on some local midwife practices, I gave one a call. Because I’m past 32 weeks, their only caveat was I had to do a hospital birth. So, I set-up my first appointment but it’s not until June 6. Their c-section rate (including the hospital births) is only 5%. Before June 6, I still have another appointment at my original office where I’ll ask a few more questions and if I’m not pleased, I’ll continue with the midwife. We also have our hospital visit and birthing class before the 6th so I can ask more about the hospital’s standard practices and how they make some of their choices. Andy also says he’s pleased with us going this direction. It may be more that I’m at ease but either way, he’s on board. By next week, I could completely change my mind again so don’t hold me to anything! Also, I know that by making all these “plans,” nothing will go as planned. It just makes me feel better and more prepared. Hi Em! 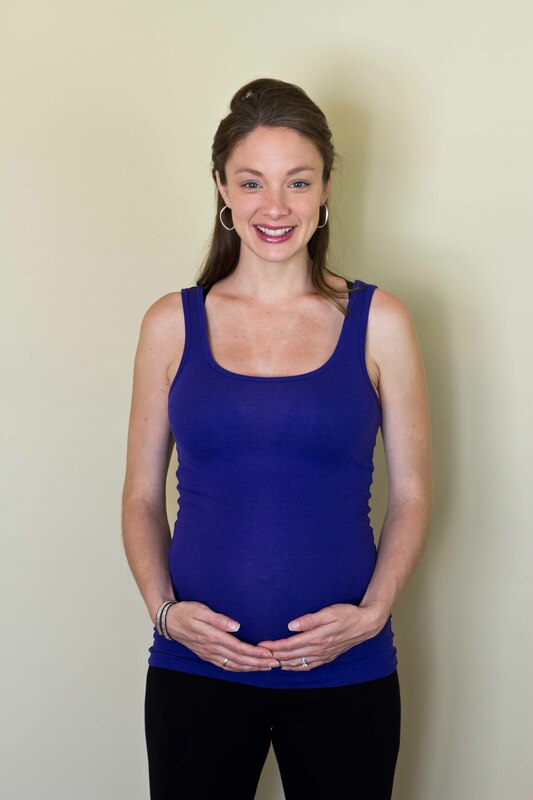 I used a midwifery practice when I had Addie for the very same reasons you described above. I was very happy with my prenatal care and especially with my delivery (no drugs, vaginal birth, no stitches, baby in room, etc.) Whatever you decide, I wish you the VERY best experience possible! Thanks Jenny! We’re feeling more and more confident about this decision every day, especially after hearing from others. Even after today’s regular practice appointment which went well, it just seems to make sense for us. We’ll definitely keep our appointment next week and make the final decision after that, but I’m fairly certain which way we’ll go.